Whether it's statistical charts, geographic maps, or the snappy graphical statistics you see on your favorite news sites, the art of data graphics or visualization is fast becoming a movement of its own. 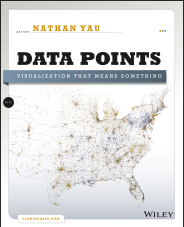 Author Nathan Yau presents an intriguing complement to his bestseller Visualize This, this time focusing on the graphics side of data analysis. 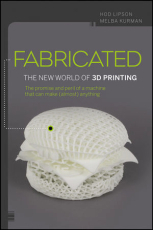 Fabricated offers you practical and imaginative insight into the question, "How will 3D printing change my life?" 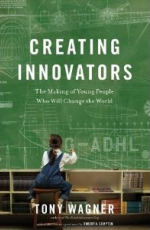 This book is an informative and fast-paced exploration of 3D printing technologies and the people who use them. You'll take a journey to design studios, businesses, schools, and cutting-edge research labs. Based on hundreds of hours of interviews, Fabricated explores the promise and peril of a 3D printed present and future. 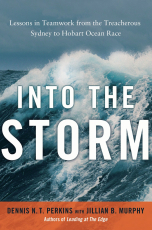 A gripping tale of triumph over adversity, Into the Storm reveals how any group, working together, can achieve the seemingly impossible. Recounting a heart-stopping tale of the Sydney to Hobart Ocean Race, the book reveals 10 critical strategies for Teamwork at The Edge - as applicable in the workplace as on the high seas. 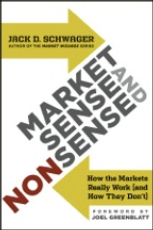 Bestselling author, Jack Schwager, challenges the assumptions at the core of investment theory and practice and exposes common investor mistakes, missteps, myths, and misreads. In this engaging new book, he takes aim at the most perniciously pervasive academic precepts, money management canards, market myths and investor errors. 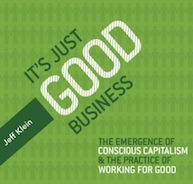 It's Just Good Business provides a clear, concise and compelling introduction to the emerging Conscious Capitalism movement and to the practice of Working for Good. 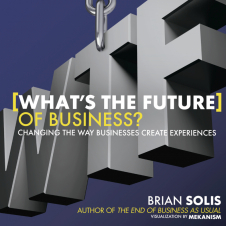 It's Just Good Business is an inspiring and informative "quick read" filled with quotes, stories and pathways to action. 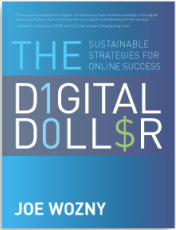 Written for entrepreneurs, small and medium business owners, leaders and executives who want to ensure they have a clear, solid foundation and framework, The Digital Dollar will become your indispensable resource for today and in the future. 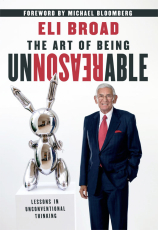 The Art of Being Unreasonable shares the unreasonable principlesâ€”from negotiating to risk-taking, from investing to hiringâ€”that have made Eli Broad a success. From understanding "the value of being second" to embracing the thrill of taking a risk, Broad shares the insights and practices that have propelled him to the top. 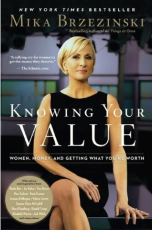 The New York Times bestseller, now in paperback, from the star of MSNBC's Morning Joe and New York Times bestselling author of All Things at Once, comes a timely and powerful look at women's value in the workplace, weaving together personal stories of struggle and success from prominent women in all lines of work. As a continuation of best-selling The Secret: What Great Leaders Know and Do, they pick up where they left off with the development of Debbie Brewster, who has now become an accomplished leader. Having grown from mentee to mentor, Debbie now guides her former mentor's son, Blake, through the process of growing as a leader. Debbie believes that "every leader is a learner," and sets out to teach Blake the process of GROW.